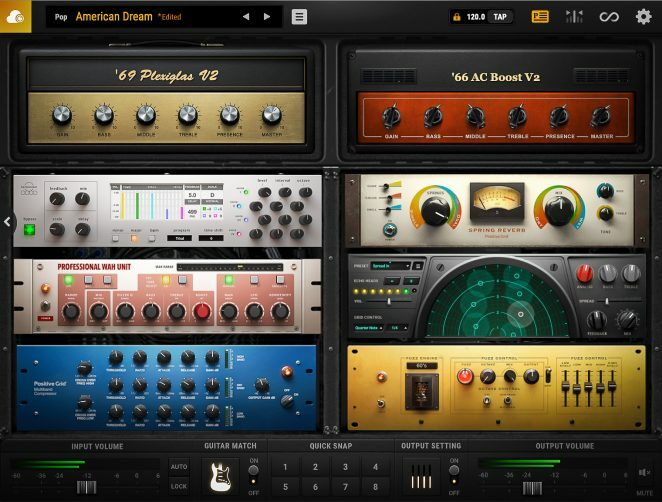 • A Studio’s Worth of New, Drool-Worthy Effects: Including Harmonizer, Fuzz and Time modelers plus ten brand-new studio rack processors—Echo Tape Delay, Tri-Chorus, Tube Compressor, Spring Reverb, Wah, Guitar Synth and more for a total of over 100 new effects. • Redesigned ToneCloud® Access: Allows players to find and sort faster than ever using tags and keywords. • Plus hundreds more improvements across the board.